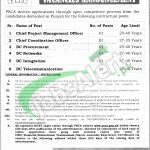 Get PSCA job from this page www.psca.gop.pk Jobs 2017 Online Apply Latest Career Opportunities. For all those applicants who belong to Punjab needs to apply for the given vacancies which are being offered from Punjab Safe Cities Authority is in search of appointing the energetic, educated and expert applicants are required to apply for the following vacancies which are named as (Chief Project Management Officer, Chief Coordinator Officer, DC Procurement, DC Networks, DC Integration and DC Telecommunication) are the posts which needs to be filled by the applicants as soon as possible and the overall qualification which is required for these posts include Masters and Bachelor's degree from well-recognized institute along with relevant expertise are needed to apply for such posts. Age limits are different for each post. An appointment will be made on contract basis which can be extended further on the basis of performance of the applicants. Only Punjab domicile holders are welcome to apply. These all are the details to be read carefully and one can apply before due date. Now, let's have a look on it's applying criteria below. PSCA is abbreviated as Punjab Safe Cities Authority which is established under Punjab Safe Cities Ordinance 2015 will ensure establishment, development and maintenance of an integrated command, control and communication system (PPIC3) for Police in major cities of the province with number of the other functions are also included to be done by this authority. Being a Govt body it offers Govt jobs of different levels. Applicants are required to apply online through PSCA website www.psca.gop.pk or from the given link below till 17th November 2017 20 days) and then submission of hard copy of online application form along with attested copies and one recent passport size photograph/CNIC/Domicile/ Educational Testimonials (Matric onward)/Experience Certificates should reach via courier to the following address within three 3 days of the closing date until 5th November 2017. By Hand submitted an application will not be entertain. The authority is also having the right to cancel or reject any post at any stage. 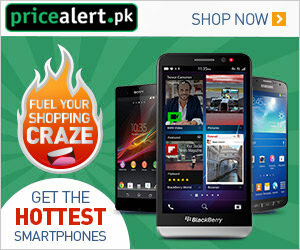 Address: Chief Administration Officer, Punjab Safe Cities Authority, Qurban Lines. Lahore.